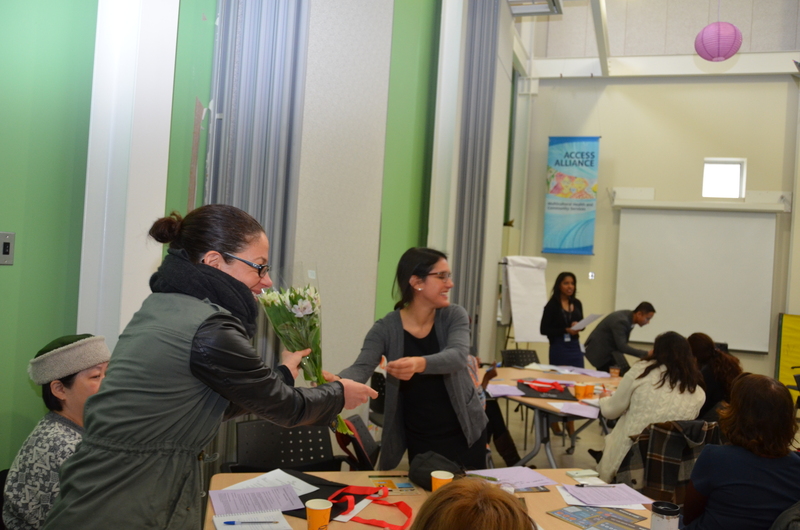 and explore the possibility of building a network to work collectively on how to affect changes. 1. Turn the individual experience into a collective experience. Help to ensure that those affected by the issues and those working on the issues get to know each other and have the opportunity to create safe spaces for conversations. Eventually turn these collective stories into actions during campaigns through writing post-cards, collecting petitions and making deputations. 2. Data and evidence matters. Learn how to use evidence and information to make your case to key decision makers. They need it! Providing information to City councilors is to helping them to serve their communities in the most effective way possible. Councilors can use the evidence that you provide when putting forward motions at City Hall to change policies. 3. Base-building and organizing is key. Find ways to support one another. Build partnerships with those already working on the issues. No one organization can do everything; find out where you have the most impact. 4. Focus on the Small Victories. It’s easy to get overwhelmed, but if we focus on the small tangible goals and shifts, even in conversations, we are making headway. For example, more people are talking about income as a social determinant of health now than they were 10 years ago due to healthcare providers getting involved in raising awareness and educating others (read recent stories published in the Toronto Star here and here). When workers came forward with concerns about wage theft and protections, Bill 18 was passed that provided protections to vulnerable workers. So, where do we go from here? How do we move forward based on the lessons that we learned? Unique Models: We learned that many organizations have developed unique working models and projects that tackle these issues. 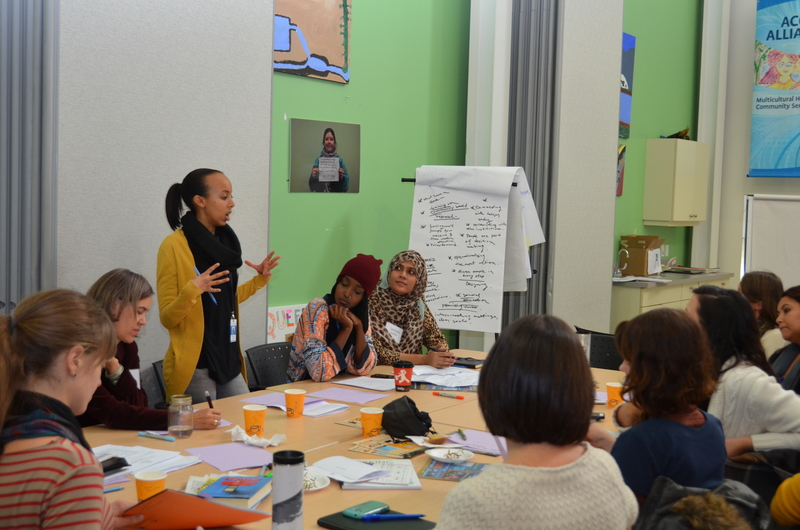 For example, UNISON has an inter-disciplinary multi-site working group called Community Leadership for Systems for Change, and Central Toronto CHC is working with women in the community to develop a nails technician association in response to barriers to addressing health risks. Our next meeting we plan on sharing aspects of such models in more detail. Areas for Collaboration: There are number of current systemic issues that we can actively collaborate around: ODSP reviews, Minimum Wage, Toronto Poverty Reduction Strategy, addressing Precarious Employment and enhancing access to Good Jobs, Employment Standards Act review. At our next meeting we will prioritize which issues we want to work on collectively and hammer our next steps. Networking Group: We identified the need for a centralized group that allows us to support causes in a collaborative way and not reinvent the wheel. At our next meeting we will develop five tangible, step-by-step strategies for organizations to seek on-going direction from, that are relevant to supporting the communities that they serve. Community Works! will meet again in the new year, and we’re sure it will be a fruitful and collaborative discussion. Look forward to it! The following agencies were in attendance: Health Providers Against Poverty, Worker’s Action Centre, Women’s Health in Women’s Hands, Toronto Employment and Social Services, Stonegate CHC, Central Toronto CHC, UNISON CHC, St. Mike’s Hospital, Centre for Research on Inner City Health- St. Mikes, Flemingdon Community Health Centre, Davenport Perth Neighbourhood CHC and Parkdale CHC.